When H.H. Bhaktaraj Maharaj was terminally ill, H.H. Dr. Athavale said to him, “Instead of feeling that I should stay with you during your Illness and serve you, I get thoughts about writing Holy texts”. Upon this, H.H. Bhaktaraj Maharaj replied ,”Your thoughts about writing Holy text are correct. That is a divine mission. Anyone can serve this body.” With the blessings of H.H. Bhaktaraj Maharaj, this mission of writing Holy texts by H.H. Dr. Athavale is increasing day by day. Due to God’s grace and Energy of resolve of H.H. Dr. Athavale, some seekers of Sanatan are receiving Divine knowledge from the subtle-this is the unique feature of these Holy text. H.H. Dr. Athavale’s guidance and research on God-realisation through various are form and subjects such as subtle regions, mission of demoniacal energies and guidance for protecting humanity from them place incessantly. Pujya Rajendra Shinde commenced the seva of spreading Spirituality under the guidance of Sanatan Sanstha in 1998. He performed the seva of spreading spirituality in Mumbai, Thane and Raigad districts of Maharashtra. He finds novel ideas and puts them into practice. 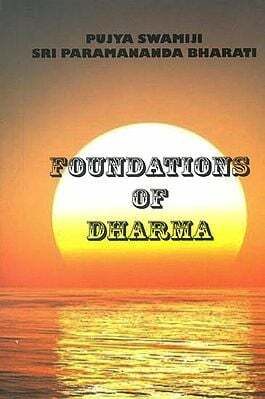 Apart from spreading spirituality, He also writes and compiles Sanatan’s Holy texts. When Bharat, the younger brother of Srirãm repeatedly requests Srirãm, who had accepted exile to the forest on the instructions of His father, to return to Ayodhya, Srirãm replies, ‘0 Bharat, nobody can be blamed for the sorrows that are a consequence of the daiva (prarabdha). In this regard, man is entirely dependent.’ The gist of the reply is that, man’s life is dependent; meaning it is in the grasp of prarabdha. 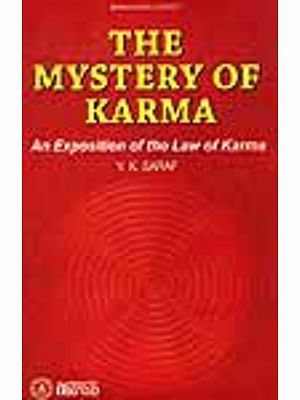 As per the doctrine of karma, the fruit of good-bad karmãs in the form of happiness-unhappiness have to be undergone in this or the next births. The bhog (sufferings) that are pending from the karms of previous births are termed as sanchit-karma. The portion of sanchit-karma, because of which an individual has to undergo suffering in this birth, is called prarabdha-karma. means, an individual’s intellect guides him to act in accordance with his prarabdha. Despite being highly acclaimed as a scholar of Dharma, Yudhishthir made the mistake of pledging his wife Droupadi while gambling, the reason being nothing else but prarabdha All have to undergo the sufferings of prarabdha, even the Saints. The only method of overcoming prarabdha is through kriyaman-karma. Whether to apply the intellect to behave in accordance with the prarabdha or not, depends entirely on the sharpness of the intellect. Sharpness of the intellect depends on the retentive cower of the Sattva component and the retentive power of the Sattva component depends on sãdhana. 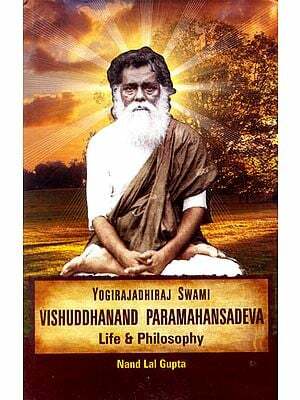 When the prarabdha:bhog begins, an individual becomes aware of happiness-sorrow because of the sanskars; however, if these sanskars are :destroyed, awareness of happiness-sorrow will cease to exist. The share of physical suffering that is in the kitty of one’s prarabdha is unavoidable. Nevertheless, if the suffering is not at all perceived, what meaning do those sufferings have ? Sadhanã achieves precisely this. Sadhana also exhausts the sanchit-karma. Hence, Kriyaman is undoubtedly superior to sanchit and prarabdha. Hindu Dharma, while propounding the doctrine of rebirth, has simultaneously shown the way of getting rid of the cycle of birth and death. 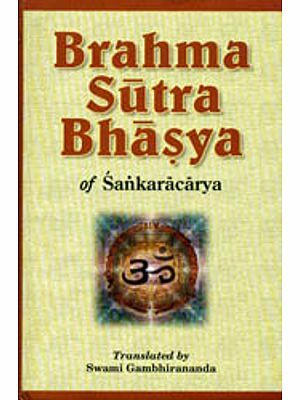 This Holy text elaborates in a simple language, supported by adequate examples, the meaning and importance of sanchit, prarabdha and kriyaman, their impact on human life, how to overcome sanchit and prarabdha-karmas with the help of kriyaman-karma, the steps in performing kriyaman-karma depending on the spiritual level etc. We pray at the Holy feet of Sri Guru that after reading this Holy text, may everyone make optimum use of kriyaman to do sadhanã and attain God as early as possible.